Carroll Shelby may be gone from this earth, but the company he leaves behind has no intent of following him to the grave. "Keep Shelby American Alive." Those were among the last words reportedly spoken by Carroll Shelby to his deputy and successor John Luft as he lay on his deathbed. And Luft apparently plans on doing exactly that. 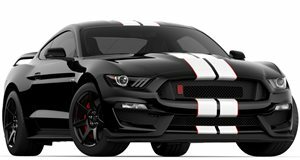 The Mustang tuning company founded by the late racing icon reportedly plans on presenting a raft of new products at the upcoming successive auto shows in Detroit in January, Chicago (February) and New York (March). Just what those products will entail remains to be seen, but it&apos;s pretty safe to say that they&apos;ll be based on the Mustang in some form or another. Word has it that Shelby American may be preparing to toy around with Ford&apos;s EcoBoost family of turbocharged engines, but we wouldn&apos;t assume that the House that Carroll Build will be done tinkering with V8s any time soon.